Chris and family would like to wish you all a happy and safe Easter. This entry was posted in Uncategorized and tagged Bad Cat Chris, Easter, egg, Happy Easter on April 20, 2014 by Charles Huss. 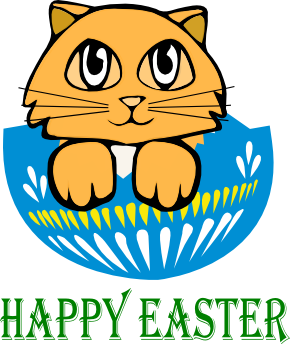 Happy Easter to all of you too!!! Thank you. I hope your Easter was good. we wish the same for you and yours! We hope you all had a Happy Easter! We did. Hope yours was good as well.